It’s nice to get back involved in Makeover Monday. 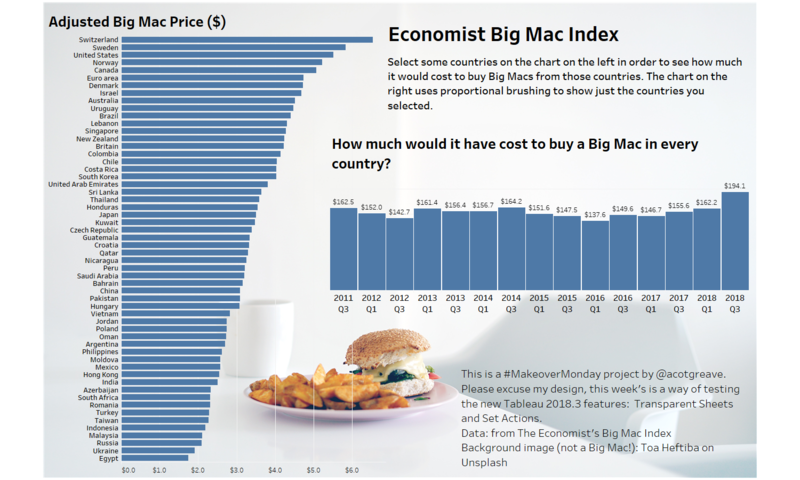 This week Andy and Eva teamed up with The Economist’s data team to tackle the recently relaunched Big Mac Index. I’m a big fan of the interactive version; the original version appeared in my book, The Big Book of Dashboards. 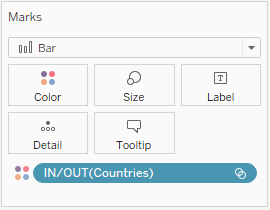 This week also coincides with the release of Tableau 2018.3 beta with many great new features (go download it!). The two I am very excited about are Set Actions and Transparent Images. The former allows us to quickly and easily implement Proportional Highlighting, and the latter opens up a new world of design options. First, create a Set using the [Country] Dimension. You can hard-code some conditions, or just “Use All”. Note: the Dashboard Action will update the Set contents, but when the Action clears, it will reset to the defaults you set here. Next, add the Set to each view you want to connect. Drop it as an “IN/OUT” pill, rather than showing all members. 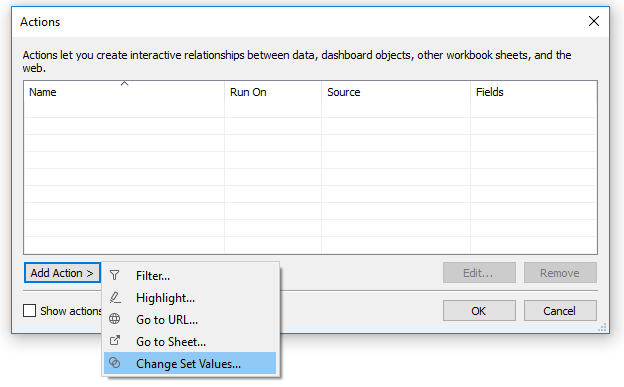 The Edit Set Action dialog gives you options to choose a dataset and which set to update. The Target Set section (highlighted below) has two drop downs. The top on is the list of datasets. The lower is the list of Sets. At time of writing (July) these drop downs are not labelled. I found this a little bit confusing. But, once I worked it out. Those were the only things I needed to edit in order to create the proportional brushing. That’s all it takes to do proportional brushing! 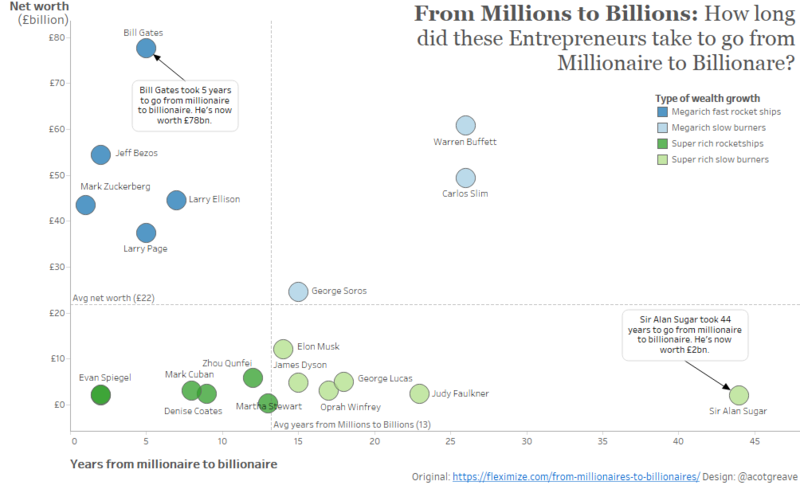 I suspect there are a vast amount of other interesting things people will do with Set Actions in Tableau, and I can’t wait to see what everyone does. At Tableau, we love to get your feedback on new features, and I especially like seeing what ideas people blog about. Do get involved in our beta programs and help us shape our latest features. Download my workbook from here (I can’t upload it to Tableau Public yet, as that’s not been updated to the latest beta). 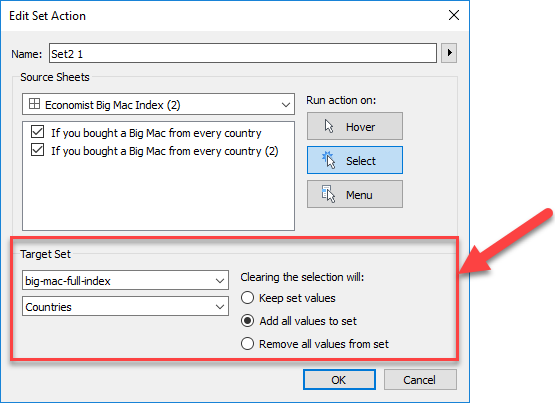 You will need Tableau 2018.3 for this to work. I’d also like to thank Alex and Marie at The Economist Data team for their help in using the data. We featured them on a recent Tableau livestream here. The Big Mac Index data was also the source for the European Iron Viz competition at Tableau Conference, Europe. Check out the great Iron Viz Recap here. Previous post: Sweet Spot: when the World Cup meets analytics Next post: Big Book of Dashboards workshop coming to New Orleans! 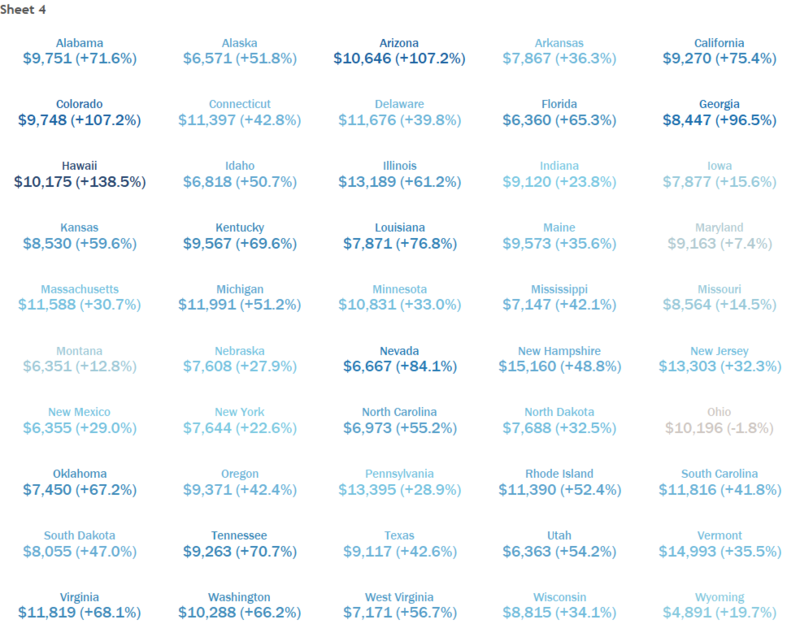 MakeoverMonday: Are you saving enough?